Jonathan Johnson is president of Medici Ventures, Overstock’s subsidiary that oversees a portfolio of blockchain technology and fintech businesses, which include tZERO, and investments in Bitt.com, PeerNova, ripio, factom, SettleMint, IdentityMind, SpeedRoute, FusionIQ, Blue Ocean, spera, and Symbiont. In this role, Johnson is responsible for continuing Medici Ventures’ efforts to pioneer growth and innovation in applying the blockchain to financial systems and beyond. Under Johnson’s leadership, Medici Ventures has invested in several cutting-edge blockchain technology firms, successfully completed the world’s first blockchain-based stock offering on its t0 platform, and was a featured presenter at the Monetary Authority of Singapore’s prestigious Global FinTech Hackcelerator. Johnson is also a member of Overstock.com’s board of directors, and served as the chairman of Overstock’s board of directors from 2014 to 2017, transitioning to the position after five years as the company’s president, and later, as the acting CEO and executive vice chairman of the board. 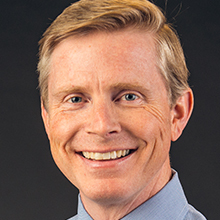 Johnson joined Overstock in 2002 as the company’s general counsel, and has held various business and legal-related positions within the company prior to becoming president. He has been an integral part of Overstock’s meteoric growth from a small start-up to a publicly traded company with over $1.8 billion in sales and over 1,700 employees. Johnson received a Bachelor’s Degree in Japanese from Brigham Young University, studied at Osaka University of Foreign Studies in Japan as a Ministry of Education Scholar, and received his Juris Doctor degree from the J. Reuben Clark Law School at Brigham Young University.